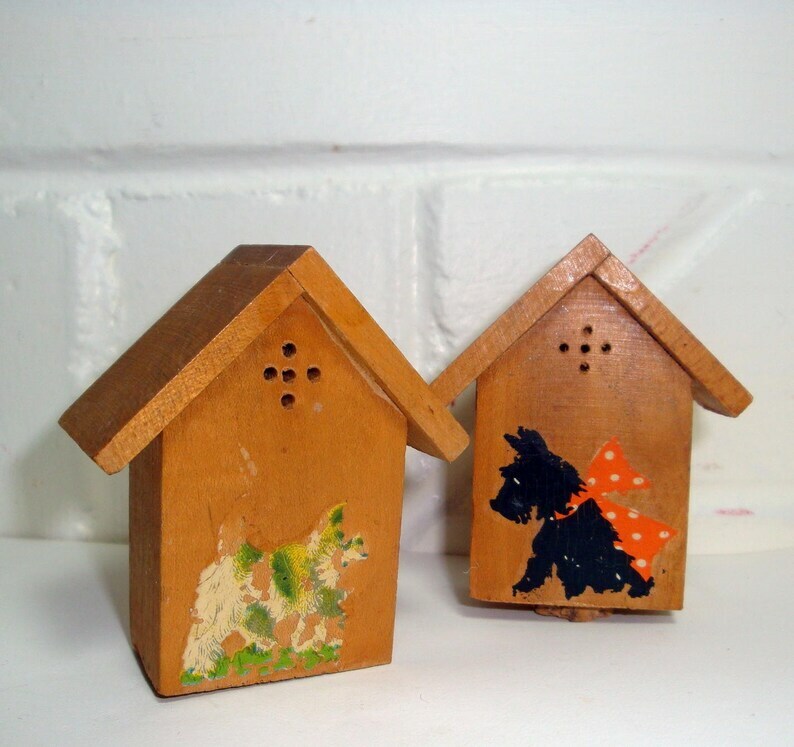 Vintage Scottie dog salt and pepper shakers. Made of wood. The dogs are painted on the houses. The paint on the white dog has worn off, please view the photos carefully. Measures 2 1/2" tall, 2" wide from edge of roof tops. Corks present. I have not tried to remove the corks, they can become brittle with age. As you can see from the picture, the cork on the black scottie shaker is not completely in. The house will sit up, but not straight. You will need to either replace the cork or trim it off. Some "white" marks on the wood, please view the photos. Would you like to see more salt and pepper shaker? These salt and pepper shakers are in poor to fair vintage condition. Questions? Please ask! Your idea of vintage and mine may not be the same and I want you to be happy with your purchase.